Mr Sewing had already indicated he planned to make "significant" job cuts, primarily in the investment bank, which he described as "painful but regrettably unavoidable". 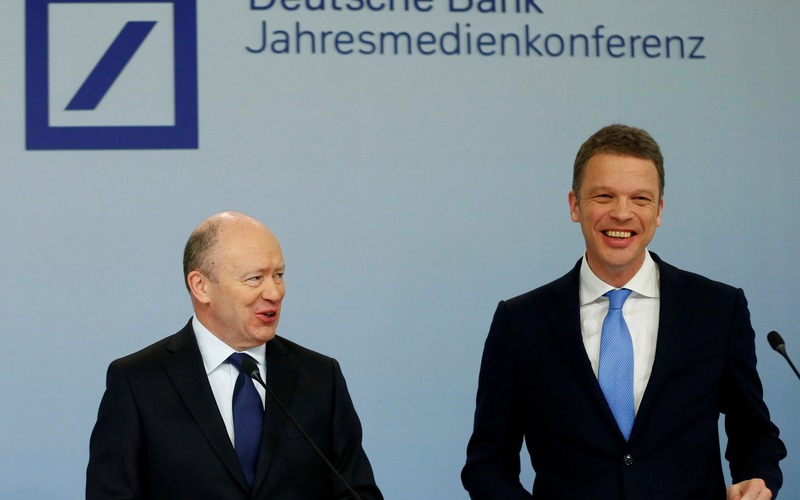 The Deutsche Bank lifer had previously run the lender's German retail bank, which proved more profitable last year and is likely to be spared the worst of the cuts. The number of planned job losses was first reported by the Wall Street Journal. Deutsche Bank declined to comment. Under the tenure of Mr Cryan, Deutsche Bank had already started pursuing job cuts, trimming the lender's headcount from a peak of more than 101,000 in 2015. But investor frustration at the slow pace of the cost-cutting and a third consecutive loss for 2017 cost Mr Cryan his job. The bank will be confronted with angry investors at its annual general meeting (AGM) in Frankfurt tomorrow. Shareholders have secured a motion to vote for the removal of chairman Paul Achleitner at the investor meeting. The chairman has faced mounting criticism for his oversight of the bank during his six years in the role. Investment manager Hermes this week issued a statement ahead of the AGM blaming Mr Achleitner for being "ultimately responsible for the limited progress” at Deutsche Bank. Dr Hans-Christoph Hirt, head of Hermes EOS, said he had “serious questions” to answer regarding the bank’s under-performance and high turnover of senior staff. However, he stopped short of calling for him to be removed at the AGM, instead saying Deutsche Bank’s nomination committee should “start to consider plans for the succession”.